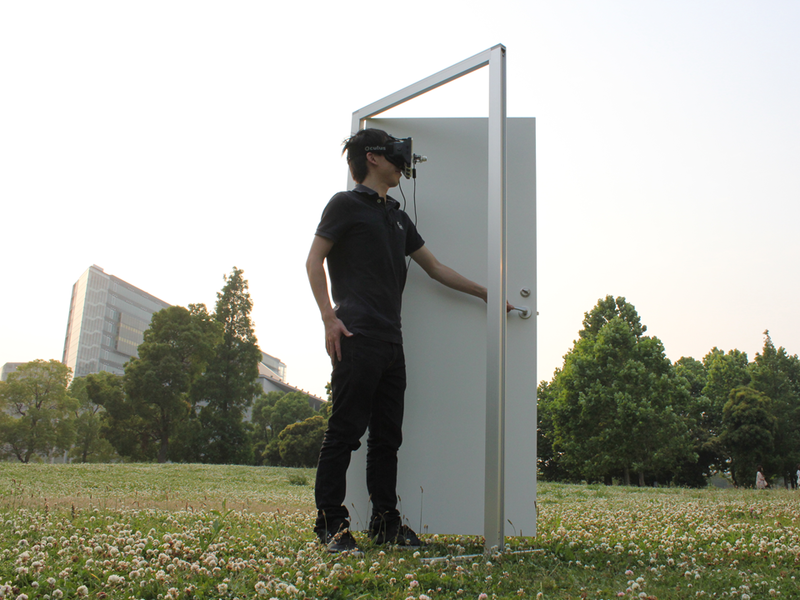 We present "Dokodemo Door", a system which brings the users to alternate realities by a simple interaction of opening the door. In our system, a door, which is usually a bridge between physical mediums, acts as an interface for seamless transitioning between alternate realities. Alternate realities could be from a remote venue, which brings about the experience of telexistence, or could be from a recorded past reality, which brings about the illusion of past events happening in live. The visual component of the alternate realities is presented to the users in immersion through a head-mount-display. The users are able to experience a blended reality of the live reality and the alternate realities through interaction with the door.